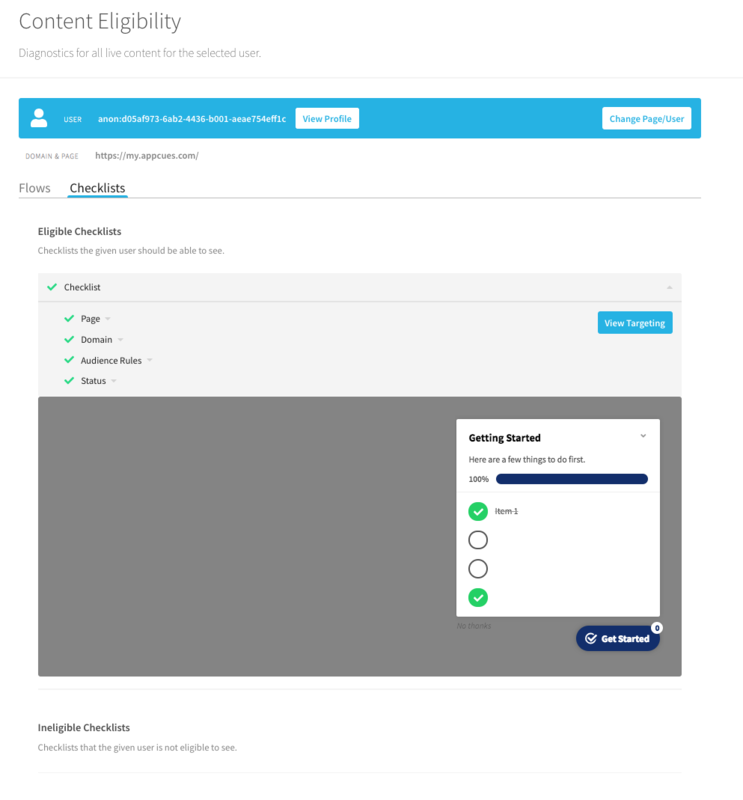 If a user is eligible, to see how their checklist appears to them at that moment in time. In other words, you can see an exact snapshot of what items the user has or has not completed so far at that point in time. This tool, similar to the flow diagnostics tool, is a great way to check in on the set up of your checklist. 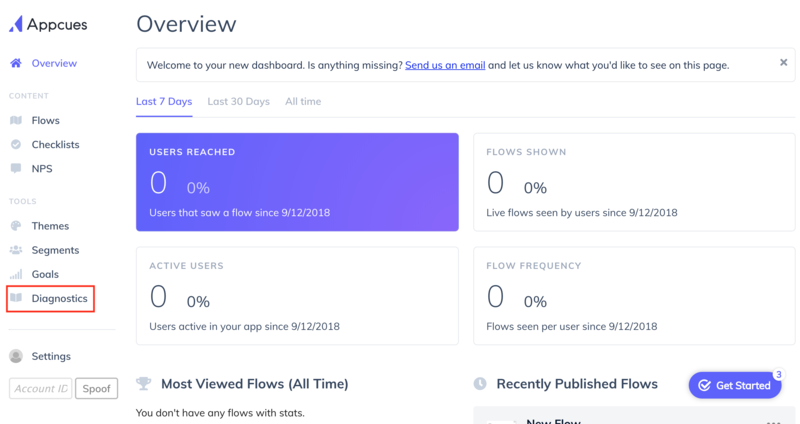 Keep in mind that the checklist is a connector: It references many different flows, user criteria, segments, and behaviors. You're unlikely to get everything right on the first try, but if something doesn't work, don't worry! Note: You can visit the checklist testing doc for more information on testing your checklist. The content diagnostics page contains flow diagnostics as well as checklist diagnostics. In order to get started, you'll need to enter a user ID. If you don't know a user ID to enter, you can find one by clicking "Details" in the "User Identified" row via the Appcues debugger. Once you enter the user ID and page, you will see the checklists for which the user is eligible and ineligible. For a detailed view, simply click on the checklist row. 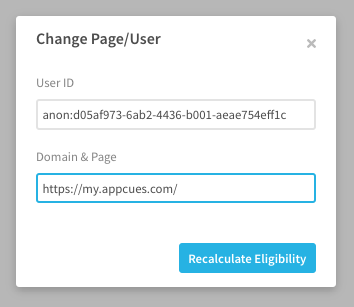 It will expand to show the criteria Appcues uses to evaluate whether or not a user is eligible or ineligible. It will also show you the exact state of the checklist for that user at that moment in time -- it's an exact snapshot. This is a great way of checking in on the state of the checklist for different users. And as always, if you have any challenges with your checklist that you can't figure out, reach out to us at support@appcues.com and we'll help sort things out!